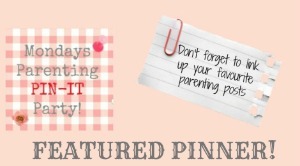 Welcome to the Monday Parenting Pin it Party! 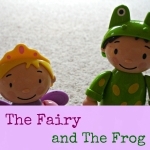 If you're regular readers of The Fairy and The Frog you will know how much we love all things literacy and language. 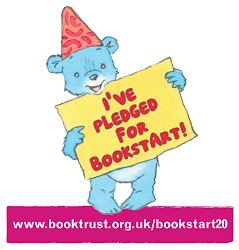 Unsurprisingly this post form last weeks party from Mums Make Lists on tips to help your child read caught my eye. With all the rubbish weather we've been having this post on ways to get active indoors from Being confident of this, was a great reminder of fun active indoor activities to do with kids. 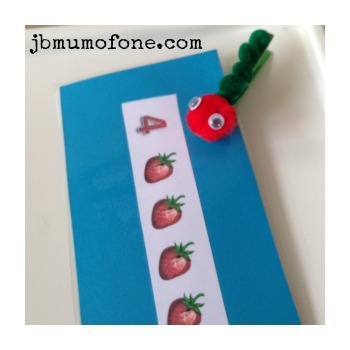 A bonus mention needs to go to Mum of One (a Parenting Pin it Party co host) for her sweet Hungry Caterpillar counting activity. The Parenting Pin it Party is brought to you by Romanian Mum, Kiddy Charts, Mum of One, Mamasaurus, A Frugal Family and All you need is love and cake . 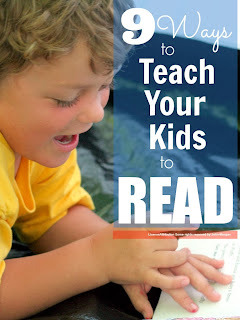 Revisiting an exciting or fun event can help embed a child's learning. Last week we saw our local Chinese New Year celebrations complete with dancing lions and dragons. The Frog was very transfixed by the dancers and drums (so much so we have had several sessions of dragon dancing at home this week). 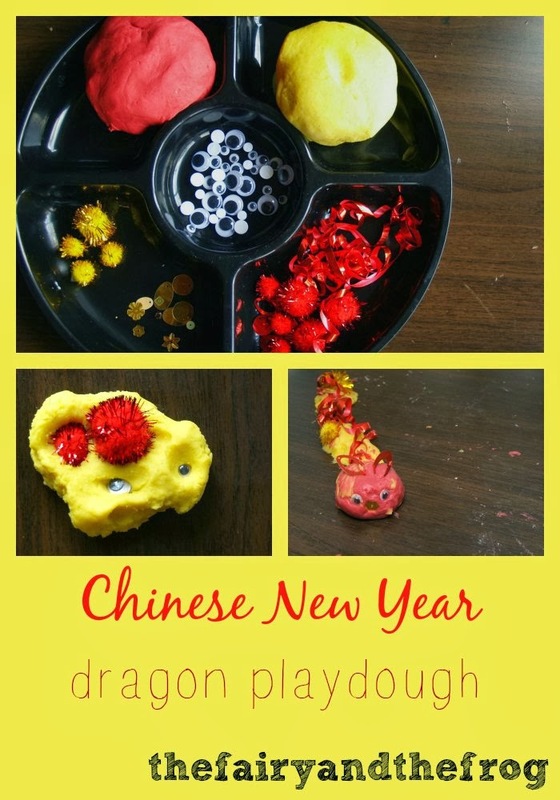 To extend this experience I made some red and yellow playdough (the colours of the dragons and lions we had seen) and gave him some 'loose parts' to add. We looked at pictures from Google of dancers and then he set to work making several dragons. Each time labelling the parts as he went. 'Dragon head, dragon eye.... more dragon eye'. He wasn't always conventional about what he chose to be which part e.g. the 'googley eye's were sometimes eyes, sometimes noses (but he had a very clear plan in his head about what he wanted each thing to be). 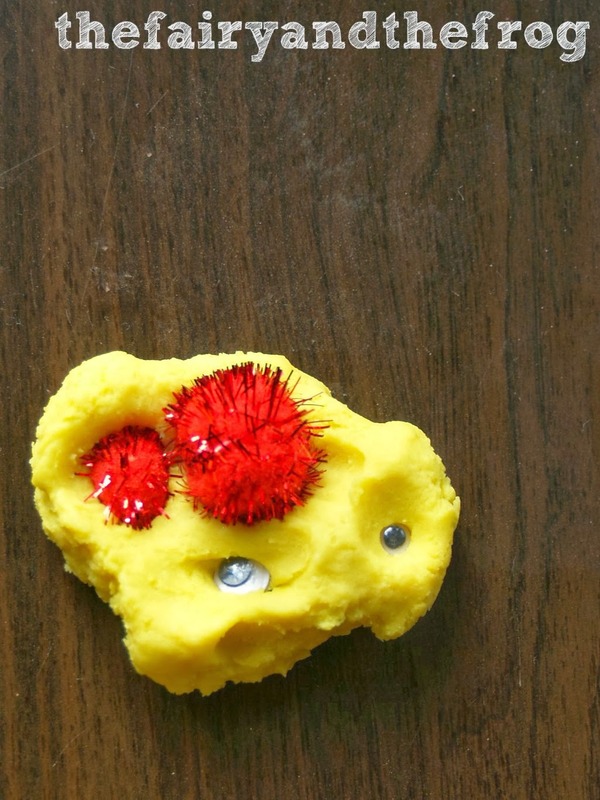 The great thing about using 'loose parts' is it can spark creativity and imagination. 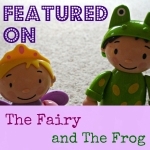 When the Fairy came home from school she saw the dragons and quick set about making her own too. I love the sequins she has chosen for ears. Other: Linking two words (e.g 'dragon's nose'). Today we've been play and pretending with a magical fairy forest. 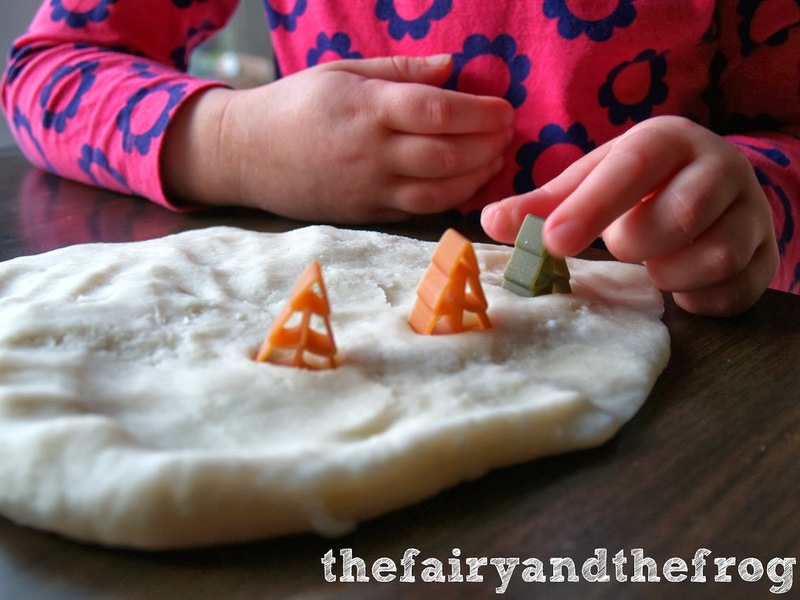 We mixed up a batch of no cook play dough (with no added extras) to make some 'snow dough'. 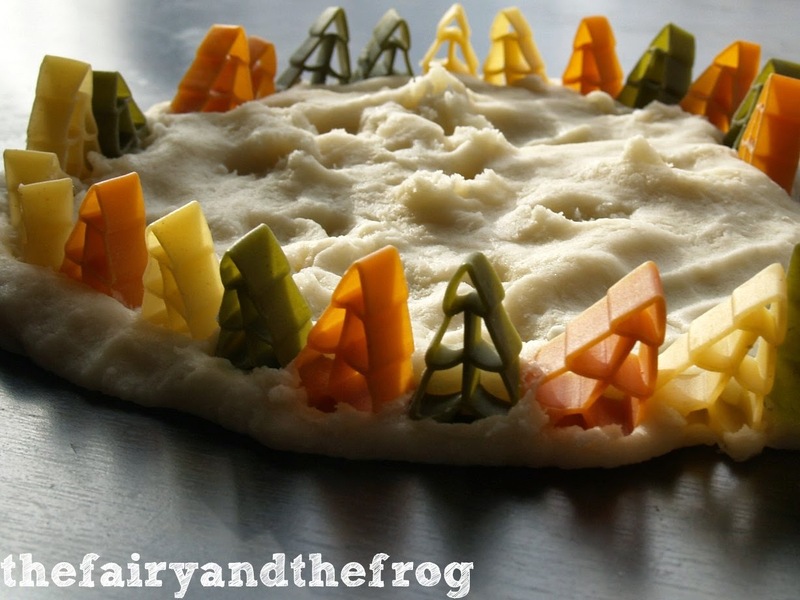 At Christmas we picked up some Christmas pasta shapes and have been saving them for a special play activity. 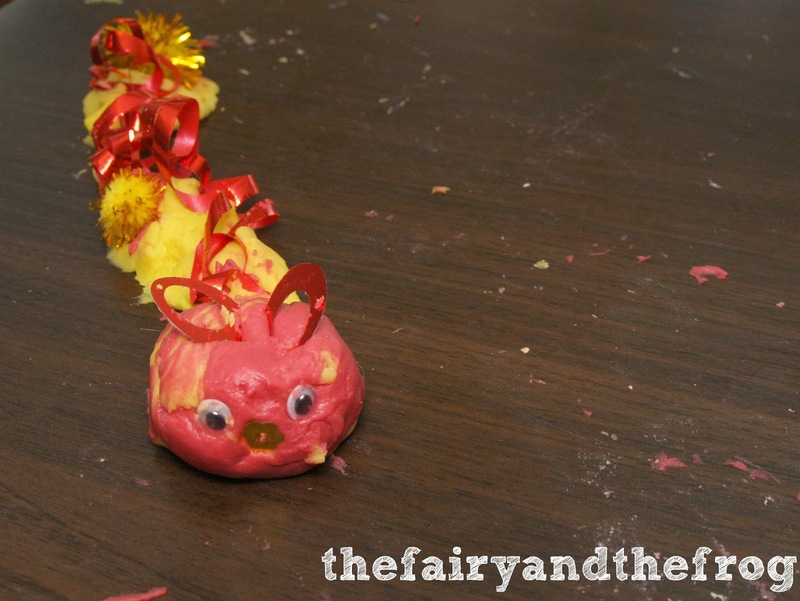 At first The Fairy randomly put the pasta trees in the playdough. Then she carefully re arranged them around the edge of the forest. Soon The Fairy requested to have some 'people' come to live in the forest. 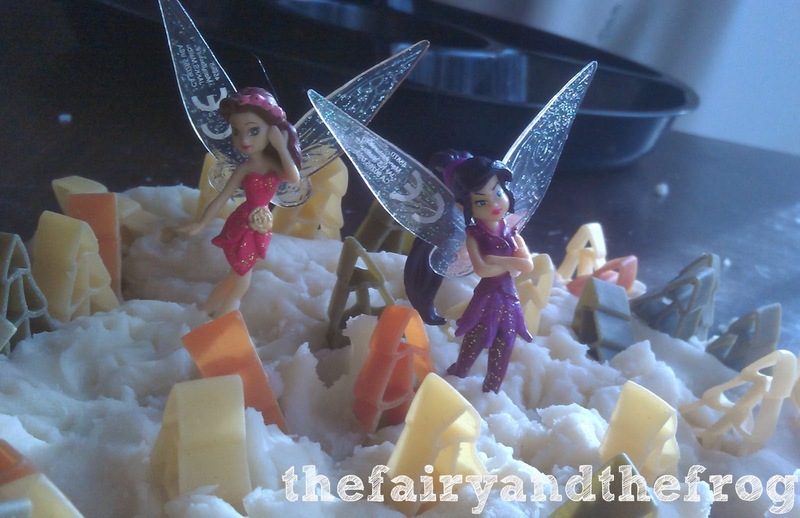 Soon some fairies had moved in and were having lessons and organising parties (I love how real life is reflected in pretend play). 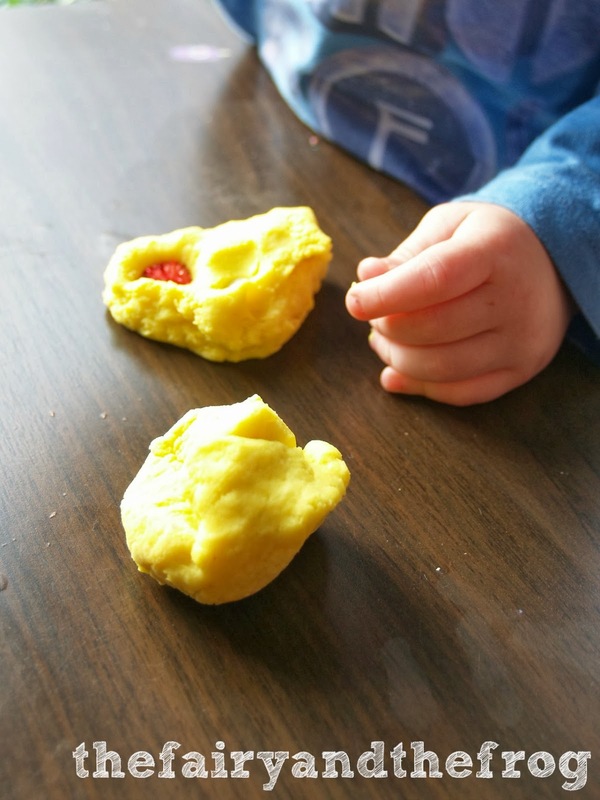 If you like playdough you will love this book from the brilliant Nurture Store. The Homemade Playdough Recipe Book is full of play dough recipes and a whole years worth of play dough fun for just $8.99. We are affiliates for this great book (which means we earn some commission if you buy this book at no extra cost to you). Down load it now by clicking on the picture.